Introducing: Dr. Heide Rodríguez-Ubiñas, Ph.D.
Dr. Rodríguez-Ubiñas is a clinical psychologist, supervisor, academician and trainer. Miami, Florida, and San Juan, Puerto Rico." Download Dr. Rodríguez-Ubiñas' comprehensive guide to thriving before, during, and after deployment. Ph.D. Carlos Albizu University, (Clinical Psychology) 2007 Honors. M.S. Carlos Albizu University, San Juan (Clinical Psychology) 1999. Distinction. I am the fourth daughter of an immigrant Dominican couple, married for over fifty-two years. 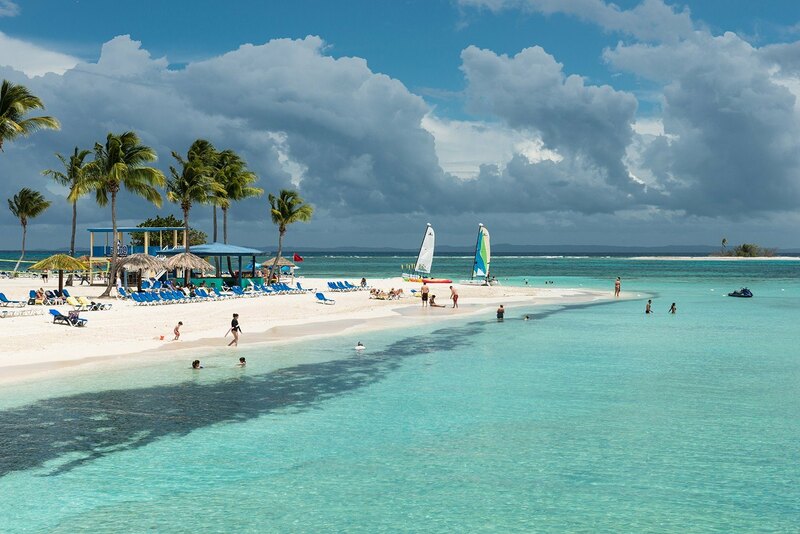 My parents moved to Puerto Rico in the 1960’s but returned to the Dominican Republic when I was seven. During my childhood we traveled between the two islands often. I've continued to travel throughout my life. My first Master's Degree was completed in Chicago in the late 1990's. I returned home to Puerto Rico and stayed for a decade, and finished my second Master's Degree and a Ph.D. in Clinical Psychology. In the winter of 2016, my husband and I moved to Miami and called this beautiful city our home. We recently moved back to Puerto Rico again, after the 2017 hurricane to help family and friends. Why am I a science-based couples therapist? I believe in a healthy way of loving, and in committed relationships. While working for years as a school psychologist, I came to realize how important the parents’ relationship is to the emotional development of their children. I became fascinated with marital dynamics, and determined to learn everything I could about them. Post-masters, I applied Bowen and Minuchin’s theoretical models in my clinical work. Then I discovered John Gottman's work, and I've never looked back. I've always excelled in school and enjoyed learning. Even after receiving my doctoral degree in Clinical Psychology, I am still constantly learning. This passion for learning drives me to be an even better couples therapist. I've loved my work helping young couples in the transition to becoming parents. It is a joy to help them navigate this life transition. Our culture emphasizes the joys of new parenthood but doesn't emphasize the emotional upheavals that this new role brings. I continue to find great joy in educating parents about the transition to the birth of the first child, especially now that this education has come in handy for me! I've also learned so much since my daughter's birth. It's been invaluable for me to put into action the practical knowledge I have about families, relationships, and children. Maintaining a passionate marriage is a struggle for any couple in this hectic time of two-career couples. It's also essential. 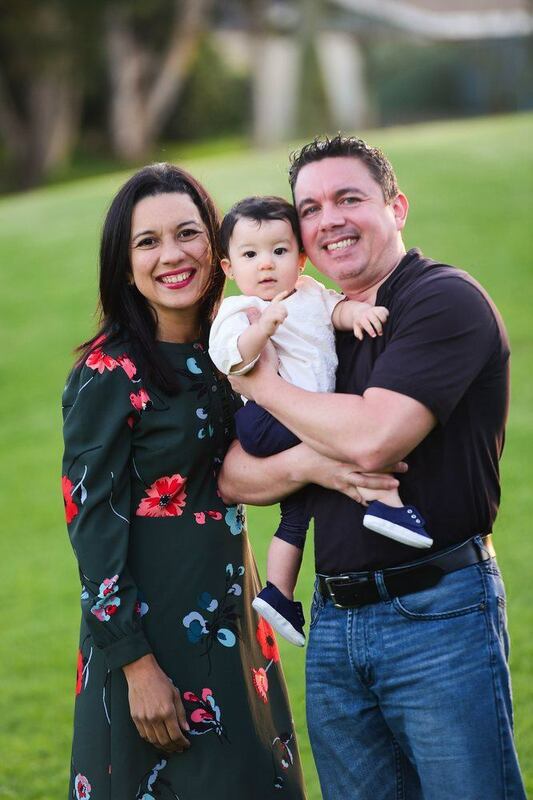 Dr. R has more than 18 years of experience as a family and individual therapist, and teach educational workshops, in both English and Spanish. 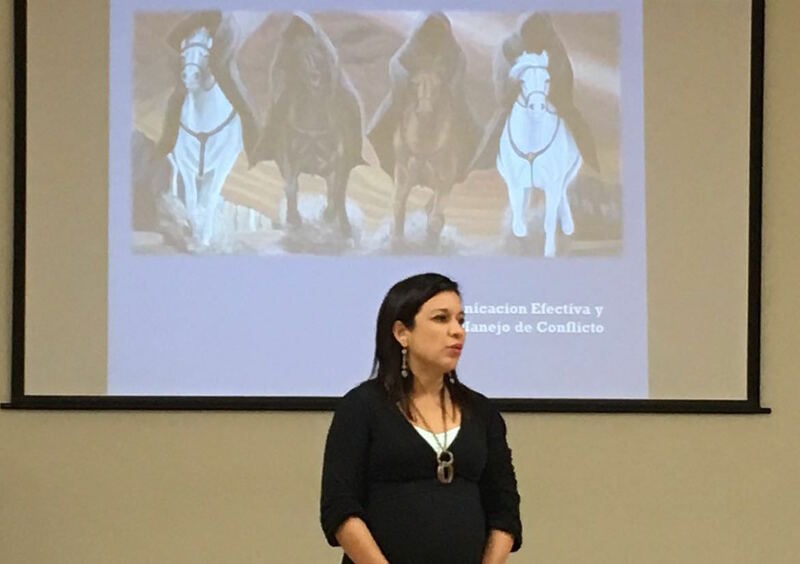 She's also done marital therapy with couples of all sorts including military families and young couples who are becoming parents, educating them about emotional and marital changes when faced with a new baby. 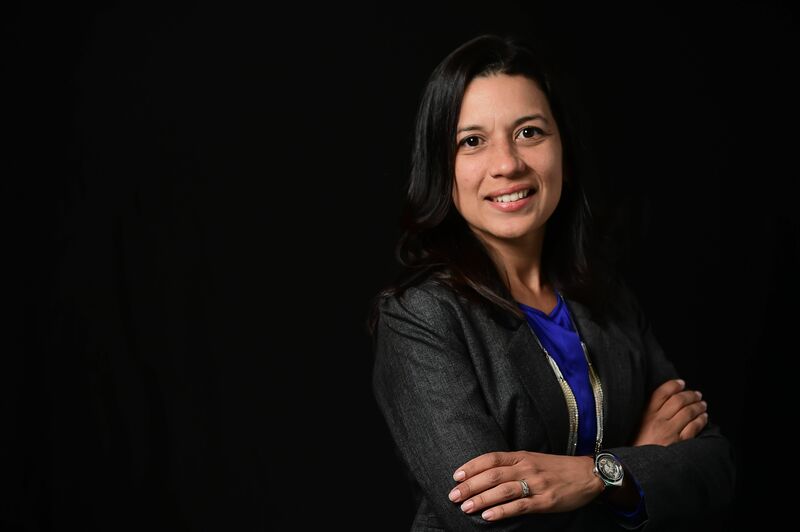 Clinically she's worked with U.S. military families and couples Stateside and in Puerto Rico. She's also been a research coordinator, dealing with topics such as instrument development, schizophrenia, and cognitive functioning in elderly patients. While enthusiastic about all the clinical work she's done, she's passionate about her work with couples. Dr. R enjoys empowering couples to learn new strategies to strengthen their relationships, and make these relationships more meaningful and lasting. She's presented on Gottman Method Couples Therapy, and related mental health topics. She's also taught graduate courses at the Family Therapy Master Program of the Universidad Autonoma de Santo Domingo and the Mount Sinai School of Medicine. I believe that therapy should be a safe space for couples. As a therapist, I facilitate the process of insight and change. For me, each new couple is a new challenge, and a unique entity. I assume great responsibility in the process of getting to know you. I honor your trust, and take an active role in helping you to improve your marriage and find greater happiness. I enjoy and am very committed to my job and embrace high ethical standards. Therapy is not only a time to learn and to help you find new ways of interactioning and growing, but also a process to enjoy. I work to help you to find that joy. MHN Government Services, HealthNet Inc.
My hobbies are reading, traveling, road trips with my husband, and spending time with my husband, daughter, and extended family. Submitting Videotapes for Certification as a Gottman Method Couples Therapist. Carlos Albizu University, San Juan Campus, San Juan, Puerto Rico. Impact of APOE 4 on very late life cognition. Alzheimer’s and Dementia, Volume 4, Issue 4, Supplement 1, July 2008. Jose R. Carrion-Baralt, Michal Schnaider-Beeri, Josefina Melendez-Cabrero, Heide Rodriguez-Ubiñas, Mary Sano and Jeremy M. Silverman. 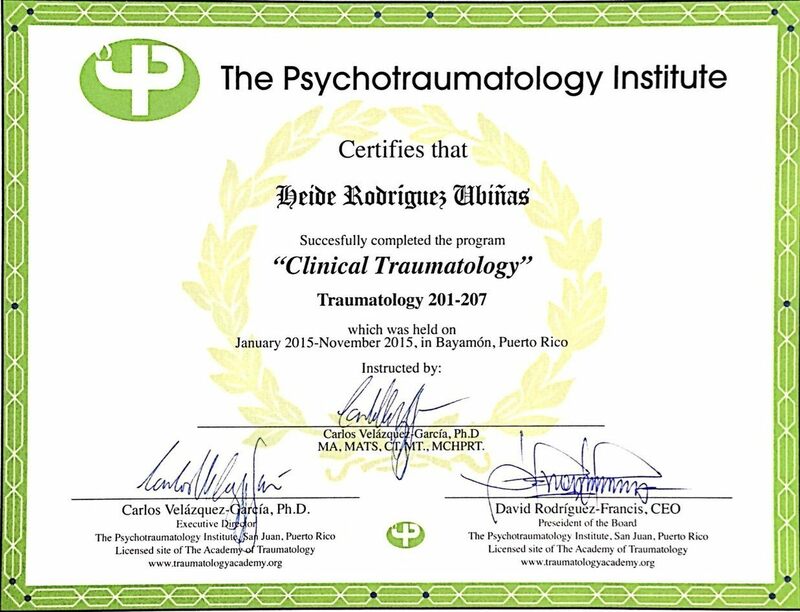 Dr. Rodriguez- Ubinas has recently completed a Certification on Trauma. • Gottman Marital Therapy Model. Levels I,II, III. Orlando, Fl. National Marital Seminars. Certificate. Feb-Mar 2014. • Evidence-Based Group Treatments for Survivors of Catastrophic Trauma. American Psychological Association. Continuing Education Program. Online Training. Dec. 2010. • DSM 5: Nuevos Retos para la Salud Mental. Cewizard. Seminar. August 10, 2013. Certificate. • A Family Approach to the Personality Disorders. Virtual Campus, EduSalud. Online course. Jan-Feb. 2010. • Dementia: Assessment and diagnosis. Post-graduate training course. Dr. Montijo. Hospital of Veteran Affairs, San Juan. PR. Certificate. April, 2008. • Seminar/Workshop on Psychopharmacology. Carlos Albizu University. June- July 2005. • Post-Graduate Program in Family Therapy- Murray Bowen Model Universidad Autónoma de Santo Domingo/ Christian Center for Family Assessment (CECAF), Santo Domingo, Dominican Republic. November – July 2002. Certificate. Miami or San Juan. A Perfect Getaway.